Tal-Chen Rabinowitch, University of Cambridge; Troy Shinbrot, Rutgers University; Glen MacDonald, UCLA; Denise Dearing, University of Utah. Playing music in groups increases empathy levels in young children, according to work published in the journal Psychology of Music. Working with 52 children aged 8 to 11 and exposing them to a range of weekly activities including musical games or word activities, Tal-Chen Rabinowitch from the University of Cambridge found that children in the musical groups showed significantly increased levels of empathy when tested for compassion and responses to facial expressions. Tal-Chen - Empathy is good for everyone; for children, for adults. Empathy has been seen to be a precursor for pro-social behaviour. So when we empathise, when we understand an other's emotional state, we tend to want to help them. We are looking to and we want to look at also children in the autistic spectrum for example, in which empathy might be able to help them in their social interactions. Right now, I think we're concentrating on the regular population. Electrical signals could be used to monitor cracks in industrial materials and predict their impending failure or breakage, according to work published in the journal PNAS. Troy Shinbrot from Rutgers University in the US used powders such as flour and pharmaceutical drugs to model the composition and movement of materials such as ceramics and concrete, which are made by compressing powders together, and found that spikes in voltage occurred as crack-like defects occurred. Troy - Ceramics are used in everything from catalytic converters to artificial teeth. It may be the case that these kinds of products could also exhibit precursors. So, one might be able to measure voltages and detect whether or not a failure is imminent in these kinds of systems. 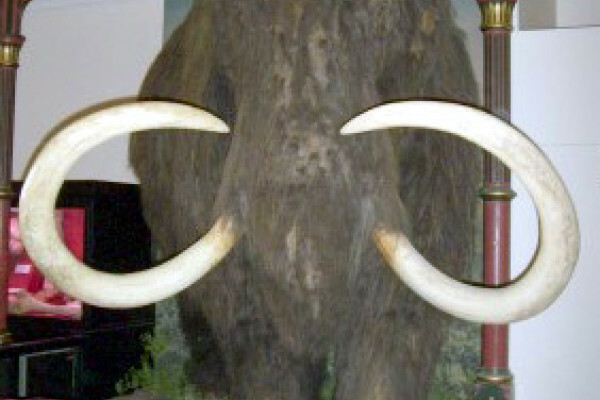 The woolly mammoth had a slow decline to extinction due to a range of factors including changes in climate, habitat and living alongside humans. Using radiocarbon dating on samples of tusks, bones and tissue from the mammoths, Glen MacDonald from the University of California at Los Angeles found that whilst the animals were abundant 30-45,000 years ago, they migrated and changed distribution due to warming climates, human civilisations and the growth of forests in the region of Beringia, which is now Alaska and Eastern Siberia, with their final extinction about 4000 years ago. Glen - Despite the fact that they were abundant, despite the fact that they had a widespread geography, despite the fact that they could take advantage of a wide range of climates from the northern coastal regions, into the central parts of Siberia, they still at the end of the day went extinct about 4000 years ago. Lots of things we count on for species persistence - rapid ability to recover, large population size, geographically widespread, and we've seen with the mammoth, wasn't good enough. And finally, the Taily weed plant produces toxic compounds in its seeds to aids its spread across the Negev desert in Israel. Denise Dearing from the University of Utah monitored the interactions of the plant with predators such as the spiny mouse in both wild and captive environments and found when the mice consumed the plants fruit, they spat out rather than ate the seeds inside. Enzymes within the seeds activate toxic compounds when the seed is chewed, encouraging predators to spit them out and aid the seed's dispersal instead. Denise - So, there's this long standing battle between plants that don't want to have their tissues eaten, but they will need to have their seeds dispersed, and this is just a new twist in that battle where this seed predator has now been turned into a seed disperser at the whim of the plant toxins. So, it seems on first glance that the mouse has overcome the senses of the plant, but in this game, the plant is actually winning because it's getting the mouse to do its spitting by dispersing its seeds to suitable locations for germination.